Whether you’ve done your time with teenage acne or not, seeing it again during your adult years is not fun – and I’m speaking from personal experience! I’ve tried everything, from pills, to creams, to Proactiv-type products. Nothing worked, at least not for long. Fortunately for me, the problem fixed itself on its own and I now only battle the random breakout here and there. My younger cousin is now going through the same thing, so for the past few months, I’ve made it my mission to find something that would help her. I didn’t want her to go down the same path as I did with pills, creams, etc. Now that I have this blog, I knew it was my duty to help her find a natural, chemical-free alternative to the steroid-laden pills and creams that are prescribed at the conventional dermatologist’s office. Lo and behold, this link about using banana peels randomly crossed my path one night, and I sent it to my cousin and never thought about it again. A few weeks later, on our visit down to Florida, I noticed her skin looked much better and her acne scars were starting to fade. Imagine my surprise when she told me she’d been using the banana peels trick and loved it! As it dries, your skin will absorb the vitamins and nutrients in the peel. I leave it on for about 30 mins. and then wash it off with warm water. At night, I just leave it on overnight, then wash off in the morning. Even if you don’t have actual pimples on your skin, this trick can also help reduce acne scars from old breakouts. That’s where I come in: I used this on some old scars around my chin and jaw line and really noticed results within a couple days! I’m not brave enough to share before/after pictures for the world to see, but the original poster graciously did this for us in her follow-up post. Just seeing those pictures was reason enough for me to try it and to send the link to my cousin! Banana peels are chock-full of antioxidants, including lutein, which may help protect the skin against sun damage. 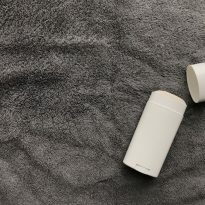 They also contain esterified fatty acids, which have actually been isolated and incorporated into a patented lotion (Exorex lotion) used to treat eczema and psoriasis! Banana peels can also be used to treat warts as well! Just tape a piece of the peel to cover the wart, leave on overnight, and remove in the morning. Continue with nightly treatments until wart is gone. To stop the itch from bug bites and poison ivy, rub banana peels on the affected area – no more itching! Banana peels may also help with hemorrhoids because of the sugar content, which helps them shrink. Reduce the appearance of fine lines and wrinkles by rubbing banana peels on your skin, which helps to tighten and tone the skin. Psoriasis sufferers may also find relief by rubbing banana peels on the affected areas, and may see results within a few days or weeks. Banana peels contain lots of potassium, and the antioxidant, lutein. I’ve fine tuned my technique to cutting a portion of the skin from the banana at a time- just a shallow incision around a section big enough to do my face with, then peel off and use. That way it all stays in tact and 1 banana can go 1 or 2 days depending on size. The fruit gets exposed to the air but still good in a smoothie at the end on the day! Do you have any great tips or remedies to help clear up acne or scarring? Previous Post 10 Ways to Use Coconut Oil This Summer! im I’ve been suffering for years because of my pimples in my forehead i try every product that i see in youtube but in result it get worse and worse when im at school i always cover my forehead with my hand when someone is talking to me,know i read this blog about banana peel im going to try it i hope its works and also it is okay to do this in 2 times a day? Can we make a paste of peels and put in face ?? Hmm, interesting idea, though I’m not sure how it would work. Worth a shot, though! Is banana peels good for skin whitening ?? Is it good for children ?!?! I’m not sure about whitening skin honestly, and I haven’t used it on children, so I couldn’t say. I have a problem with dry skin and in grade school, some of the kids called me scaly legs (ugh). With all the cold and rain this winter my legs are cracking and peeling again. I remembered the article about all the thing banana peels can treat and thought, what the heck. I rubbed into the worst area then let it sit, peel and all. Within a half hour the skin on my shin (only applied it to the left leg, was smooth and moist without any sign of the scaly marks. I didn’t wash it off until about 4 hours later. It the area that the peel was applied to was still plumped. I’m certain it will take repeated applications but I’m hopeful. I’ll post pictures on the next go round. Hello! i wanna try this method but im currently using facial wash. should i stop it while using this banana peel thingy? i using my facial wash morning and evening so i using the banana peel when im going to sleep and leave it overnight, should i use banana peel only and dont use this facial wash?. what should i do please help! You can use the banana peels along with your facial wash. Just think of the banana peels as a treatment, so it doesn’t take the place of your face wash.
Look for natural home remedies . I don’t know the exact thing you’re going though but my mom has dark spots on her arms…. but hers is from the sun . Even if you don’t have actual pimples on your skin, this trick can also help reduce acne scars from old breakouts. That’s where I come in: I used this on some old scars around my chin and jaw line and really noticed results within a couple days. As a 52 year old woman, I have tried many products for aging, blemishes and dark circles under my eyes. Within 3 days of applying Dermalmd anti aging serum I noticed the pores and blackheads on my nose were completely gone. My under eye circles were improved dramatically. This is a thin liquid so a little goes a very long way. I apply it to my cleaned face at night; it’s best to let it soak in and dry completely before applying your moisturizer. I am so impressed with dermalmd serum that 6 of my friends/co-workers have purchased in which all of them have had the same results. Wow, i never thought of banana peel before and just tried orange. This one is awesome, thanks for sharing! How syringoma can be treated with the use of banana peel? I’m sorry, I have no experience with this condition, so this outside of my scope of knowledge. I know! Its so hard to find something that works for acne and is moisturizing. Try Citrus Clears Sensitive Line – BUT NOT the Control Acne line. It was WAY too strong for my skin and dried me out. But but the Sensitive Line took the acne away, and kept my skin moisturized. Awesome! Didn’t know you could do that with banana peels! It is very annoying to have acne scars. When i was in high school i was thinking that it will healed own its own later but i was wrong. I spent almost 700 dollars for fractional laser although there is an improvement but it is still a small improvement, also it was a painful experienced. I didn’t try that one, but i will see if its really effective. Unfortunately my daughter tried this and both her arms swelled up. I can’t believe you would recommend putting a raw substance potentially full of harmful bacteria and enzymes onto a rash. Fortunately most people don’t try this. When are people going learn that”natural does not equal safe”. Oh no, I hope your daughter is feeling better! Wondering what kind of rash it was that you tried this on? How old is your daughter? And if she’s had any other types of similar reactions before? There’s a lot of factors at play here, so it would be a good idea to try and find the root cause of this reaction, so you can prevent similar ones in the future. Blessings to you and your daughter! Wow! Who knew? I’m totally going to try this on my scars. If it works, I’m flying out to hug you. I’m sorry, but I really don’t know as I have no experience with this. I’ve been getting a lot of pimples during my face and I don’t know how to eliminate them and they change white fast and stay like this.please help with any kind of creams, home remedies? I’ve been suffering this pimples for almost 1 month and it’s kinda’ irritating in my eyes. i hope that this will be effective. Thank you. You’re welcome! Hope you find some relief soon! – ALWAYS ALWAYS ALWAYS wear sunscreen. a little goes a long way, this keeps your skin moist and protected. (oil free if possible**) this also prevents a lot of upcoming skin concerns. Wow!Thanks for the helpful tips ? I’m doing this for 2 days already and I noticed it is working. Good thing my country Philippines is rich when it comes to banana ? I used sweet orange eo on my Rosemead and it ‘went away’ (cured). Wow i now buy more bananas then ever..great tips! thanks for this tips but you can tell me its really work. What Works For Acne Breakouts? Niche all beauty information, LOVE it, thank so much for share this! Sounds like a fun filled event…I’m off to read her blog now. This amaze me. Who knows from something we may never think about, banana peels can be really useful. Banana peels from what I’ve known is also popular as pain reliever. I don’t have good skin and I can say for certain this banana peel method does work. Normally for me, blemishes that are close to 1 year are permanent. I was treating a large blemish with Ultraquinn for 5-6 monthswith close to zero results, which I shouldn’t be dong because of cancer risks. After reading about banana peels on this site, I started using banana peel method and noticed the diminishing of the size of the blemish within the first week. After about 4 weeks, the inside of the large blemish patch started fading. As of 1.5 months around 80% of the blemish is gone. I would say rubbing the peel has good results, but only placing the whiteish/yellow bits of the peel onto the blemish overnight will fix the most stubborn of the blemishes. I am quite happy with the results! The faster you try this, the faster the blemish fades. I found the peel does not clog the skin in any way. This is truly a natural miracle ‘drug’ that man cannot replicate with drugs. Why couldn’t you also freeze the peels? Might not be AS effective as fresh but it would still be better than throwing it away. This is really a perfect way to cure Acne problems. Good post. Hi I have dark old scars on my legs over 10 years old. do I use the banana only or do I mix banana and lemon juice. Lemon juice is naturally bleaching, so you could definitely try adding it to your routine! Great tips, I am thinking of trying the banana peel on and around my eyes as I have started getting a couple of skin tags there, hope it works ! Hi did any body know any natural treatments for open pores. For skincare, I love banana for relieving itchy mosquito bites by just rubbing the peels on the bites. Firstly id like to thank you like a million times for this amazing cure.. I have cured my acne but alot improvement has still to come. 4. Im getting bald from the front .. I really need to fix it. 5. My last problem is that I am a student and going in the sun everyday really gets bad on my skin can you tell me what to put so that it stays protected and clean..!!! It would be really kind of you..
Do U have anything for Lipomas? I wouldn’t put Preparation H on my face, and probably not a good idea to put all of the other things you mentioned at the same time. I know diluted lemon juice can be a good toner, but that’s all I have experience with. How do I naturally get rid of blackheads? I had a patch of psoriasis on my hand and I started using the banana peel on it every morning when I made my smoothy. Behold it is now 99% gone. So much better than the terrible drugs they they wanted me to use. Keep in mind that banana, like most other fruits and vegetables, are sprayed with toxins. Look for organic bananas to use on your skin. help after using the banana method for a day or two i started noticing white spots appear on my cheeks and a wide patch like white stain help wont go away. No, you’re using the inside of the peel so you don’t want to wash it off at all. I was wondering will banana peels fade post acne marks? I’m suffering from acne the past years, I am 21 years old now and I have been giving prescriptions from doctors like lymecline capsules, differin cream and Qunioderm 5 but they don’t work .I’ve also been using papaya soap, foam face wash, hazel face mask, tree oil non greasy moisturizer but it makes it worse. I don’t want to have these spots and pimples all over my face I’m using this herbal cream but it still doesn’t make any difference only a few minimizing. But through your information I learned that banana peels also an acne remedy. Thanks! I’ll try on it. This is my face today. I use often a lemon cut in half, where I add honey on this half part and just rub it on my face. Honey has amazing healing properties. Nurse even use honey on healing scars after heart surgeries to heal skin faster. 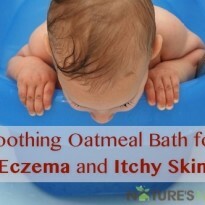 Can the banana peels be used to help eczema?. Thank you. I came across an article a while back about using banana peels to treat skin conditions, I am not sure where I read it. I also didn’t use it for several weeks, but I had an unusual spot appear on my lower leg a few months ago, and since skin cancer runs in my family, I was a little worried and had been watching the spot for changes every since it appeared. Well, a couple weeks ago, I thought I would try the banana peel remedy just to see what happened. Not expecting any results, I was shocked, the banana peel made a significant difference after a couple uses, the spot is no longer red and have shrunk down, it has almost disappeared after three banana peel treatments, I just leave the peel over the spot for about a half an hour, and then throw the peel away. I usually don’t wash the area immediately after treatment either. I am definitely going to try using banana peels for other skin condition and love the idea of trying it on old acne scars, I am a believer! Thanks for sharing this article! 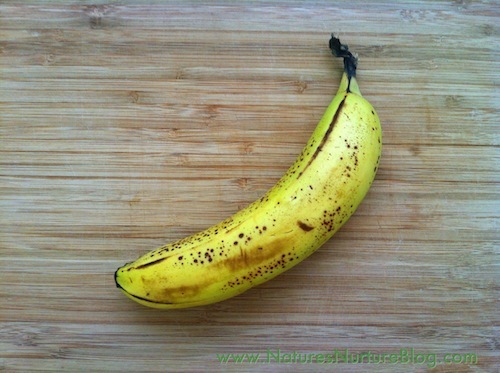 Use green banana for warts. works like magic! I have been suffering from acne for a year now and will definitely try this out. Thanks. Can you tell me whether it will work on pores that have appeared on my face due to acne. When I was little (and still now) I would have extremely bad mosquito bites. They would get really puffy and my whole foot would swell from one bite! Being lazy one afternoon I ate a banana and sat the peel on my swollen bitten foot (on accident) and found that it made the swelling and itch go away completely! I never thought about doing it to my face now. Thanks! Save used coffee filters. Peel and eat your banana and then place in damp coffee filter and store in fridge. The caffeine from the filter also helps to firm & tighten skin while the banana peel nourishes and hydrates. Really nice combo. I can cut off a piece for use and store the rest of the banana in the refrigerator for later use right? Any species of banana peels can be used? so knowledgeable blog. . all I could say s effective and nutritious, a brain food , good for the stomach and skin. Guys, it really works! Don’t give up!!!! First week it seems hard and you may get more pimples, but it’s a process of making your skin clear!!! It’s amazing, I feel so great. My skin is almost clear! And please don’t give up!!! You will be so amazed! Do the steps right! Three times a day! And leave it as long as you can! Hi,Sarrah can i use banana peel on skin tags? Does it work on them ? Banana peels are on that list, as well as a few others. If you do try it, please come back and let us know how it went! well i found another site that might help. this is very organic. you can found it any place in your house.. hope this helps..
How long, after you have rubbed the banana skin all over your face, must you endure the smell of bananas before washing it off? You can scrape the banana peel and mix scrapings into coconut oil. bugs that make life miserable for some horses. I have also buried the peels at the base of my rose bushes, works great. Banana’s are a wonder food and health care. yes, the first time I put it on my face and I forgot about it, went outside, cleaned my car and when I came in I not only had ‘brown’ blotchy skin but a few of the strings that bananas have too, lol! It is the oxidation and it does require a bit of scrubbing. Also, as an update, I used the banana on my cheeks and it seems to really work HOWEVER, I used it around my chin and jaw and I must saw I had a terrible reaction and now have about 9-10 very irritated pimples……seems the banana clogged my pores in this area. I can’t think of anything else it may have been. I stopped the banana for 4 days now and will try again just to see what happens and report back. I wish I could post a picture b/c I would so you can see the skin changes. My sister suggested the banana peel idea to my mother and me. We had a strange reaction I have seen no one mention anywhere. Very shortly after rubbing our skin, we turned colors. To be specific, brown and black smears. I know that oxidation can cause the banana to do that, but it seamed as though it was our skin. We had to wash like crazy to get it off. It had only been on our skin a minute, maybe 2? Is that normal? In my experience, that’s just the banana that got onto your skin and turned brown. I’ve never heard of it actually changing the color of the skin. Hello, I have to say I found this site just last week and tried the banana peel right away. It seriously made a difference in my skin. I had 11, yes 11 red pimples that were on my skin and one week later I have 5, yes 5 left and they are not nearly as red as before. I am in amazement at this treatment as I have never heard of this before unfortunately. History: I am 48 years old and still get acne. So, I am thrilled I have found something that works. I will continue to write in and post about how the bananas are working as I am really anxious to see how long term this is. Lastly, I did freeze the peels and break off small pieces when I need them. I must say that the frozen peel on a larger sore pimples feels very therapeutic. I don’t think I will be eating 3 bananas a day but I will eat one and use the peel and hopefully that will work. Thanks for all of this information! I use some banana cream for my psoriasis and any other skin irritation (sunburn, bug bites, wounds, etc.) that I encounter. My cousin just had an eczema outbreak on her face that was nasty. I suggested she try the inside of a banana peel. It worked, but is a bit messy, so I sent her some of my banana cream. She was all cleared up within a couple days. 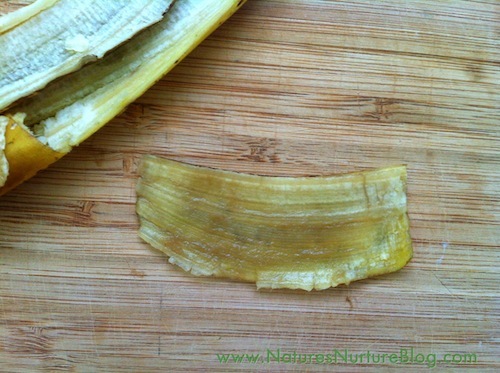 Banana peels have some amazing healing properties, and the bananas taste pretty good, too. I get my banana cream from [link removed by moderator] or just Google “banana peel extract cream” and you have a choice of suppliers. Interesting to read that banana peel can also be used to treat veruccas. I’ll suggest this to my daughter as I think she’d prefer it to putting salicylic acid on her foot! I am 60 years old and love natural remedies. wish I had found this one earlier in life, but going to try it for sure and pass it on. Spray the bananas with cook’nspray,save in the fridge until you have enough to make banana bread. Can I put banana peel that I don’t use in fridge until I am ready to use? I have terrible skin due to many years of crohn’s, collitis, then got mrsa from a surgery, and now folliculitis. I am 49 yrs old and hardly ever leave my house…due to breakouts. It is a terrible thing to deal with and I became very depressed, as after 35 yrs of suffering…my bowels are finally under control and I was so excited to rejoin the living…then bang..this skin problem.I am devastated to the point of not wanting to live anymore.. to played out from fighting it all. I can not help myself by way of healthy eating…as even though the pain is under control..I still do not absorb enough. After finding your site..and believe me-I have searched, I can say this is the best, most informative and helpful site I have found so thank you for this. You have given me a glimmer of hope! Literally have saved my life! I am going out today to get the bananas, baking soda, coconut oil ( I am on a tight budget so can only get a couple things) and am going to give me one last try! If this helps me….then you obviously can help many, many people regain some dignity and possibly a much better life that is full, not empty and lonely. I hope I am purchasing the proper products to try….please advise if you think I should change anything. I will report back and let you know how it goes. I will get my dtr to take a pic, so people will be able to see a before and after. THANK You for giving me hope!!! I’m 36 weeks pregnant with twins, and I just started developing stretch marks so you can bet I went on a search for a solution. A natural one, preferably. While this is for acne scars, I rubbed the banana peel on my chest and stomach. Honestly… it’s only been about seven hours but I swear the stretch marks are lighter. I have never heard of a banana peel working to heal acne, it sounds interesting, i truly would like to know the science behind it. Does your face have to be clean? like, do you have to wash your face with a facial wash before doing it or you can do this treatment without washing your face? thanks! Honestly, I’m not really sure. I would do a quick Google search to see if anything comes up and if not, I think I’d try it anyways just to see. Good luck! l use a small square of banana skin slimmy side against the skin when l get a verruca,l put it on an cover it with a bit of old rag,and change it every day for a week,the verruca is usually gone. I’m going to teach this to my clients. I’m a massage therapist always trying to help my clients become chemical free and treat their body as their temple. I wanted to know when using for wrinkles…Do you need to wash it it off? I was wondering if I put it on and leave it on all day how that would affect my skin? Have you tried this? I am going to take before and after pics of me and my boyfriend. I can send them to ya if you want. Will banana peel get back the color that i had and also get rid of my scars and pimple plzz suggest and how long is the procedure and how many times in a week or day shall i use..Could you tell me the exact procedure if u dnt mind…. 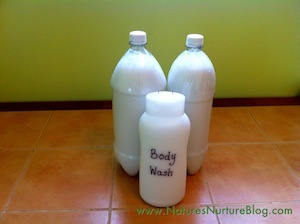 I have more posts on natural skin care that you can look at here: http://naturesnurtureblog.com/tag/natural-skin-care-series/ I can’t comment on exact procedures or how many times, as that depends on your skin type. You’ll have to experiment and see what works for you. Hope that helps! Thanks so much for this blog entry. I have an active bug bite that’s been itching over the last two days. How timely that I ran into your article (and read the whole thing)! I just tried it on my bug bite and no more itching for last 30 minutes. Hopefully it continues to help- if not I’ll reapply it. Also gonna try this on my acne-plagued face. Thanks so much! I now look at banana peels with a very different eye, as i never knew they can be so amazing! Having struggled with acne for a very long time, I really wish i had known this earlier. However, i am going to give it a try starting right now. I am even more amazing learning that they can reduce the appearance of wrinkles. thanks so much for sharing! Nice article. I’ve tried banana peels before and I did feel it made somewhat of a difference. I’m trying not to use anything but what I would eat on my face right now, so I will try this again. Thanks for reminding me! mashaAllah, Allah guided me right to your site. I’m n the middle of teaching my daughter math, and she wanted 2 make a smoothie w/ my banana. I said yes, then i googled n ‘what r banana peels good for’..well, well, well, mashaAllah! I have a teenage son, as well as an adult daughter who still suffers from acne. I will immediately give both of them this remedy and will make dua that Allah Blesses it to work for the both of them…Allahumma ameen! Thanking u n advance 4 your input. May Allah Reward u w/ good for your assistance..Allahumma ameen! banana $eels are very effective and good for treating acne. Love this idea and am going to try it for my line and wrinkles. Someone asked about what to use on blackheads – I have used regular toothpaste for years to get rid of them. Just put some directly on the spot at night and leave it on overnight. It dries the spot out and always seems to work for me. I wanted to kNow what kind of banana it is? Coz there are many kinds of banana! Basically, acne (pimples) is the result of clogged pores. The pores become clogged when increased oil production traps dirt, bacteria and dead skin cells in the pores. The pores become clogged as a result. Thus, its great to know about this alternative treatment to eradicate those unwanted pimples. Im a girl with 17years and my face is irritating of pimples and dark spots…so any idea/help? Just when you thought you heard it all! This one I have to try for sure though. I recently started using a honey mask and I see some very noticable results with my pores and skin texture. Will banana peels help tighten and shrink pores? wow, this is very timely. just when i needed this mask and here I found your blog. i am starting tonight with the “ritual” for the not-so-nice acne which are popping on my face this winter. i already tried so many creams but nothing works for me. I just want to share the amazing wonders of natural masks. i started 3 weeks ago using cucumber and honey or apple and honey and tomato and honey. whatever is available i make a point to mix with a little honey and lather on my face. result is amazing! i just wish the banana peel will work for me too. Great suggestions for banana peel use. I started using a banana peel cream a few years back for a winter psoriasis condition. Worked great and I have used it ever since. Over the years I have found many more uses for it: bug bites, wound dressing, and unfortunately this winter I had to use it to get rid of some external hemorrhoids I developed. It has never let me down. I have also been using it for fine lines and wrinkles on my face. Not sure if it has made a difference, but I figure it couldn’t hurt. I get mine from fisalesllc.com/banana_cream. I’m going to tell those folks about your blog. Will the banana peels stay fresh if I were to leave them in the fridge for the day? Will this work for Rosacea? I’m desperate to find something to help my face. I’m embarrassed to go out in public so I spend most of my time in the house. It’s really depressing. Can you help? Hi Maggie, I’m not sure, but I’m guessing this probably wouldn’t work on rosacea, at least not long term since rosacea is an ongoing condition. Have you looked up other natural remedies specifically for rosacea? Try searching google for “natural rosacea treatments” or “natural rosacea remedies” to see what others have found to work for them. Does the peels work on “liver/age spots” from sun exposure? If not what do you recommend? However, as an herbalist I ma left wanting to say more about skin conditions. They start on the inside!!! Topical treatments are great to deal with the acute break outs, but the true cause is 9 times out of 10 something going on internally. I treat acne, allopecia, psoriasis, and excema in my practice. I have the best and most long lasting success through administering herbs for liver and lymphatic support. I do suggest topical treatments in conjunction. Banana peels are great in the regard. what can be done for psoriatic psoriasis? My niece’s boyfriend has it and i know his hands are bad, cracked. I am thinking that you could always freeze the fruit if you don’t want to eat 3 bananas a day and after a few days make banana ice cream. I knew that banana peels are good for cleaning shoe because of the essential oil, now I will use them for skin treatment too. There are loads of natural acne remedies; no need to rush to the pharmacy for drugs. Thanks for sharing. For more than 25 years I have used banana skins to clean the dust off my indoor plants. It feeds them beautifully. too. They shine wonderfully. Either before or after. I’ve done both, especially since you’re doing it for a few times a day and I don’t wash my face that many times in a day. But for the first application of the day, I would start with a clean face, just to wash off any oils that have accumulated over the night. Can I use lotion after washing off my face after using the banana trick? Also I have combination skin, what is the best kind of lotion to use for oily skin? Every1 in my house is gonna look at me weird. ME, the banana freak. lol! I’m going to try this. I am a RN and worked for Hospice. About 20 years ago I went into the home of an elderly African American lady. She was in her 90’s but her skin and face was like a 30-40 year old. NO wrinkles! Beside her bed was a mason jar and the content were gross looking. I had to ask what was in it. She said my lotion. Solid shortening ( lard), a whole banana and cinnamon. The banana was rotten. She said she rubbed a little of the mixture on her face, throat and neck everyday since she was a child. Her mother and grandmother did it too. I have always remember this. Never been brave enough to try it. You can slice the banana and put it in a ziplock bag (single layer) lay it flat in the freezer for smoothies! Would have loved this tip when I was young. Will try it on those fine lines age has graced me with. Wow great blog! I never knew banana peels has a use, until now lol. I will try this out, the only good thing I use bananas for is eating. Do You think it would really be safe to leave the peel in over night though? Thanks. It is burning on psoriasis! psorasis worst condition any solution? suffering from very very dry skin any solution?? I really like lotions with cocoa butter in them. Queen Helen’s is one you can find a lot of places. It is not too heavy or oily, but does wonders for moisturizing your skin! You could also try coconut oil, as I have heard really good things about that. Instead of a banana peel, I’m trying plantain peels because that’s one of the things that I had in handy. I’m hoping that it will give me the same results. I’m going to try any options that are posted here because I’ve tried all the creams and solutions and they’re making my acne so much worse. Great post, Sarah! I’m pinning this one. I saw it at Herbs and Oils World’s facebook page :). I love when they link to me! Thank you for the Banana magic work post, i am already using i believe is going to work. i just tried it.. and hopefully it will work for me.. Very good article… Thank you very much. wow everyone is saying this banana peels can cure alot of skin problem,,,,,,Thanks Sarah I will be trying this………I have a few acne but what im struggling with is the scar after my acne are cure but i guess this will fade the scar away right? i have tried this just today and i cant wait to see the final results. 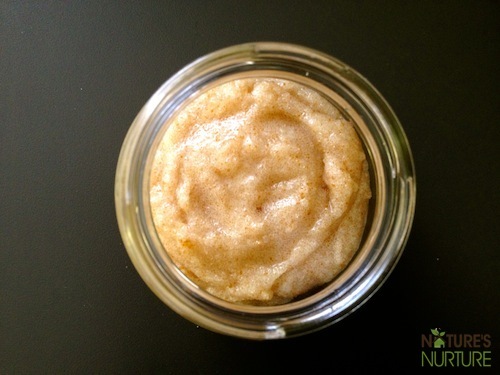 Have you ever tried the Banana, Honey, and Lemon Juice mask? I just tried it earlier. I’m hoping it will do some good. Thanks! This is brilliant and much needed advice! My adult acne is getting out of control lately. Totally adding this to my list of things to try. PS I just discovered your blog today (looking for washing soda and I found your baking soda-to-washing soda recipe, which I also plan to try). It’s so fun!!!!! Welcome, Olivia! Glad you’re finding the site useful. Be sure to check out my post on the oil-cleansing method as well, since that’s what really cleared up my adult acne! Great idea my 16 yr old is definitely going to try this. Also a banana mask to try; smash with s fork 1/2 banana mix in 1TBL spoon honey 1TBL lemon juice. Pat on face let dry 15 mins or longer if you desire, rinse and pat dry. Thanks for the mask recipe, Mary! Re: saving the skin, why not just cut off a slice of banana and skin . use it for treatment. try because I am sure you do not use the whole banana skin for each treatment. This is great, I will definitely be trying it as soon as my bananas ripen and someone eats one. Works on scars you say … hm I wonder if it would help stretch marks? To the banana tree! This is great info! I’ve heard it before, but it’s great to see it all in one place with explanations. 🙂 Totally bookmarking for later! I’ve used banana peels for my poison ivy for years. I rub it until is stings a bit and it dries it out very quickly so it can heal. 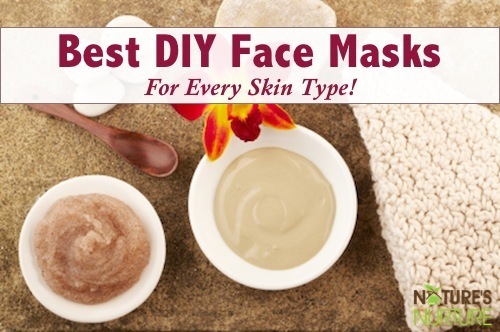 Wow, this is awesome- natural, simple and inexpensive! I’m going to let my younger brother know about this, he suffers from bad acne. 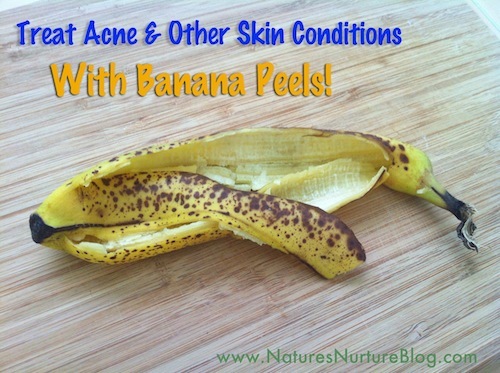 Hi Sarah, thanks for linking to my posts on treating acne with banana peels! I am so excited to see so many people willing to try this simple and healthy recipe out! Wow, this is unbelievable! My skin is pretty good right now, as it tends to be while I am pregnant, but I often struggle with acne – I will definitely be trying this!! This is awesome! Thanks for sharing! It is amazing that something so natural can do wonders for your skin…kind of makes me think that the simpler way of life is better! Wow sara jazaki Allah khayran, I will definitely try it but I want ur help in blackheads. So far I’m into treatment 2 of day 1. Supposedly my mom has already noticed a difference. My scars aren’t that bad, but there’s enough for me to attempt this. So that I’m not opening a banana for each treatment, how do you store the remaining banana peel? In a ziplock bag? In the fridge? Also, just out of curiosity, what is it about the peel and not the actual fruit that makes it so special? Ive been doing this since i saw it posted on revitaliseyourhealth on FB almost a week ago and am having GREAT results on existing acne AND scars, also skin quality in general. Just wanted to share: ive fine tuned my technique to cutting a portion of the skin from the banana at a time- just a shallow incision around a section big enough to do my face with, then peel off and use. That way it all stays in tact and 1 banana can go 1 or 2 days depending on size. The fruit gets exposed to the air but still good in a smoothie at the end on the day! Wow, Alison! Thanks so much for your very helpful and thoughtful comment! I love your fine-tuning so much that I’m adding it to the post to help others, because I know this was an issue others were having. And thanks for sharing the link about the lemon water – I do this too! It’s sooo good for digestive health and the immune system! I freeze peeled bananas and use them in smoothies or I chop them up while frozen and then use a hand blender to mix it until it’s ice cream smooth. You can put honey, sunflower seeds, cinnamon, fruit, or anything that strikes your fancy. Tastes and feels like banana ice cream but soooo much better for you and only takes minutes to make! Try cutting the banana in half before you peel it. Put the one half in a covered container/plastic bag (make sure it is sealed up), put it in the fridge and use the other half right away. I believe that the banana still inside of the peeling in the fridge will keep the peeling good for a while – up to a day. I’m just going on memory of having done this kind of thing when feeding a banana to a small child and they can’t eat the whole thing at once so half went in the fridge. 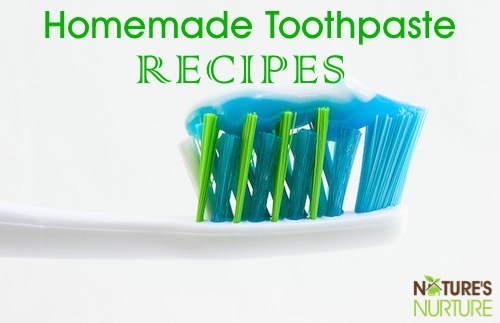 If you have to eat too many banana’s to do this remedy, I would use the bananas in recipes. Banana bread, banana cake, banana’s foster, peanut butter and banana sandwich, etc. The bread and cake freeze well too. Just stick ’em in the freezer for a rainy day! 🙂 Btw, I am going to try this banana peel remedy on my keratosis pilaris (essentially, pimples all over my body). Nothing else has helped as well as I would like it to. When I don’t feel like eating a banana I slice them and freeze them. They are a great snack!!! My kids grew up on them instead of pop-cycles and ice cream. They also work great for smoothies. How cool! I love that it’s so simple. Thanks for the tip! I’m going to pin it. Nice to see someone promoting some natural acne cures rather than just trying to sell ‘miracle’ acne cures, which will probably do more harm than good. Usually, if a person eats sensible, listens to their body then they can do much to alleviate acne outbreaks. Most people literally want to have their cake and eat it! Thanks for your comment! It’s nice to have someone in the industry promoting natural remedies too 🙂 Indeed, with many health conditions, there is not enough emphasis on proper diet and more practical solutions, but the tide is turning, I believe! Will the banana peels work on plantar warts? Any suggestions for getting rid of plantar warts? From what I’ve been reading, a lot of people have actually had success with treating plantar warts with banana peels. Although I don’t have experience with it myself, so I can’t say for sure. But if you google “plantar warts banana peels” there’s a lot of success stories you can read through which may offer extra tips a well. Hope that helps and wishing you all the best! Put a pail in the bathtub and fill it with the hottest eater you can tolerate to put our foot in. Submerge your foot in this hot water 20 minutes a day for 2 weeks and the plantar wart will die. This truly works. Your feet/foot will be beet red but the heat kills the virus and that is. What you want. can i use that? and stop using my pimple product and cream?? Try Apple Cider Vinegar for warts- it is amazing! Be careful though as it will destroy even the healthy skin around the wart so try to keep it just on the wart. I soaked a piece of cotton, about the size of the wart in ACV and then placed it on the wart with a bandaid to cover overnight. Repeat until the skin starts to peel off, the wart can literally be peeled out after a few treatments. Use Braggs ACV, not the cheap store stuff, you need the mother in it. Great tip, Diane! Thanks for sharing! I’m a lover of ACV myself, and now I’ve learned about yet another one of its many miracle uses 😉 Thanks again! duct tape cured my years old plantar warts! chop up garlic cloves really small . i put it on a spoon then i add honey on top to block some of the garlic taste . it will be thick . swallow it with water. dont chew .. i did this for 2 weeks and the planter warts on my feet are going away. garlic is good for many things. good luck. I know this isn’t all natural but for warts I have always used duct tape. Just put it on and leave it for the day and put a new piece on when it falls of. With all if the new duct tape colors you should have a problem finding something better than the ugly silver color. Oh and the original duct tape seems to work better than the knockoffs. I had planters warts on the sole of my foot, having the frozen and cut by the doctor not help. The treatments were so painful I decided to live with the warts. After awhile I had developed a spongy quarter sized area. I sterilized a pair of sissors and used them to gently scrape out the spongy skin (it did not hurt). The area healed up and the warts were gone. I have used banana peel on warts on my hand and it does work within a week. It is worth a try on your planters warts. I would try bandaging a piece of peel to the wart area so it can really work itself in. Wow! Who knew? I’m totally going to try this on my scars. If it works, I’m flying out to hug you. Thank you for sharing! Coat your face with raw egg yolk. Let it dry completely (you’ll feel your skin get very tight). Wash your face; easiest to do in the shower. Do this every day for 2 wks, then once a month to maintain. You can use the egg white as a treatment for your hair before shampooing. Wow! Thanks so much for the awesome egg tip! I’m definitely going to try that! I’ve used it on my hair before and it really is wonderful, but never thought to use it on the face. Sarah. Do I use the inside of the skin or the outside of the skin on the banana. Marilyn, you use the inside of the skin. Sorry if that wasn’t clear! 🙂 Good luck! Raw egg is not hygienic.We are told to wash hands after handling raw eggs. Then using it for hair or face isn’t harmful? Thanks for all the info which you give us. If you happen to still come across this, I thought I’d let you know that the yolks and whites are rarely the problem when handling raw eggs, it’s the shells. The shells are what carry the salmonella virus, and they are only likely to carry it when you purchase eggs that come from a farm that is not humane-raised and free-range certified. Chickens raised in large farm houses where they are not given clean food, or clean areas to eat, become sick and their feces becomes infected with Salmonella…this in turns gets transferred to the eggs shell. Granted, egg shells are porous to an extent and over time could possibly contaminate the inside, but you only run into that as a risk if your eggs are close to expiring. As long as, like Sarah suggested, you are buying good QUALITY eggs the risk of them being contaminated and dangerous to work with is slim to none. Hope that helps. Also I am always steaming my face twice or three times a week.it will help it to open ur pores and remove the stock dirt inside ur skin it will also help to prevent pimples from keep on coming out.put green tea bags open it and put it into a bowl and put hot water then steam ur face for 5 min. Hey Sarah ! Does this work on severe red, acne scars ? My school starts in a month time and I really hope this method will work on me. you can use the juice from a lemon. just squees some in your hand and apply it like a cream. make sure you have clean hands. works on acne also. and black spots etc. if you feel itchy. you kan take your hands under cold water. dry them at tovel and put your hands at your face. and it will diseper. Hi all thanks for the information on Banana skin . I think Banana skin has so many uses has even been used in gear oils. Dues anyone know how they use it as an additive? wet the face rub with water and Maze meal till pours are open then light clean with diluted hydrogen peroxide say 3%. worked for all my family from way back. my own kids are trying modern creams and will not listen. Maize meal = UK. Corn meal = US .